Covers and color at Bull Run Winery! Happy Fall! I will be playing some of your favorite music from the last 40 decades at Bull Run Winery tomorrow, November 1st, between 4:30 pm and 8:30 pm. 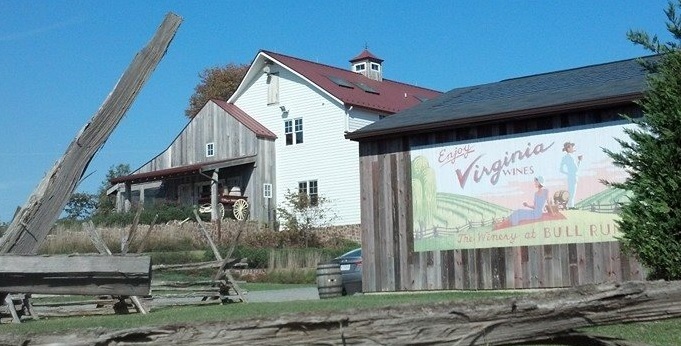 Leave behind the drama of pumpkin-carving and suppressing the urge to consume entire bags of Snickers and Nerds with a beautiful view of Manassas Battlefield Park and an award-winning glass of wine from this lovely vineyard near Centreville. I enjoyed their take on the Norton — soft, fruity, yet full-bodied — with visitors from Florida last weekend. Hope to see you there tomorrow evening!